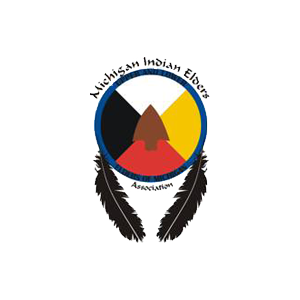 The Michigan Indian Elders Association (MIEA), a consortium of the twelve federally recognized tribes/bands of Michigan , has adopted as one of its major purposes, the interaction of the Elders with the youth of the member organizations. The objective of this interaction is to foster a supportive relationship designed to influence and promote serious commitment to the students' education by providing various incentives and/or scholarships. Since April of 2002, the Association has committed a majority of its resources ($71,675) to two student related programs. To date, one thousand ninety eight (1,098) K -12 students have qualified for up to four $25 awards totaling $41,675, either as an incentive for going to school every day (perfect attendance) or for having achieved straight A's. One hundred ninety seven (197) post secondary students have been granted forty one (41) scholarships totaling $30,000. 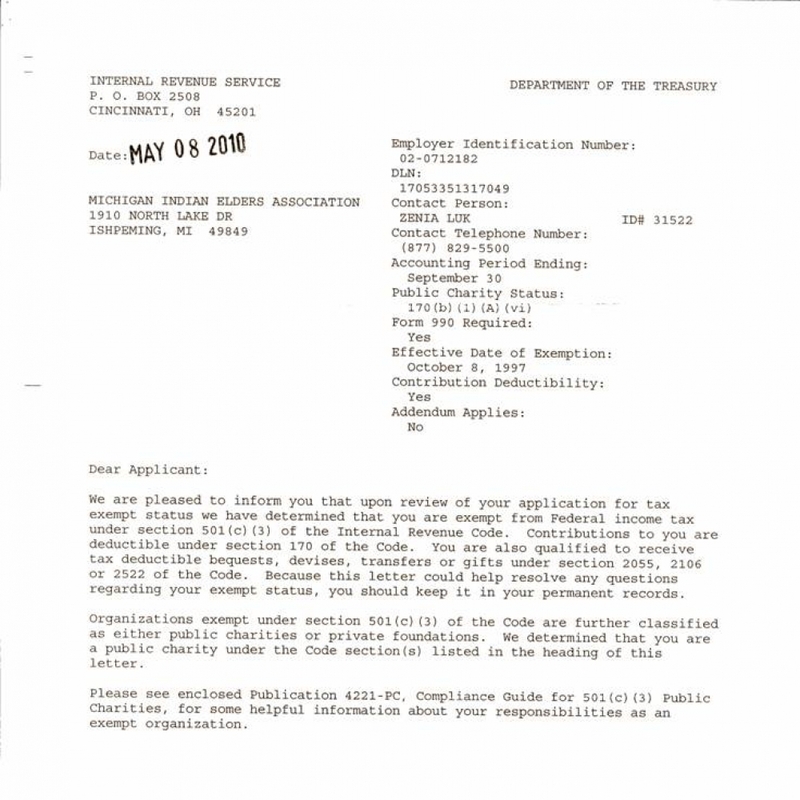 On May 8, 2010, the MIEA was granted tax exempt status under section 501 © (3) of the Internal Revenue Code as a public charity organization. Contributions to the student related programs stated above are deductible under section 170 of the Code. Your help in funding these very worthy programs would be sincerely appreciated. As Treasure of Michigan Indian Elders, I have been designated as the member to receive and bank donations for our programs. Copyright © 2019, Michigan Indian Elders Association.